The actor has booked a flight to outer space on Virgin's new rocket place, Virgin founder Richard Branson confirmed. Ashton Kutcher is the 500th person to have booked a flight on Virgin Galactic's outer space flight, Virgin founder Richard Branson confirmed. 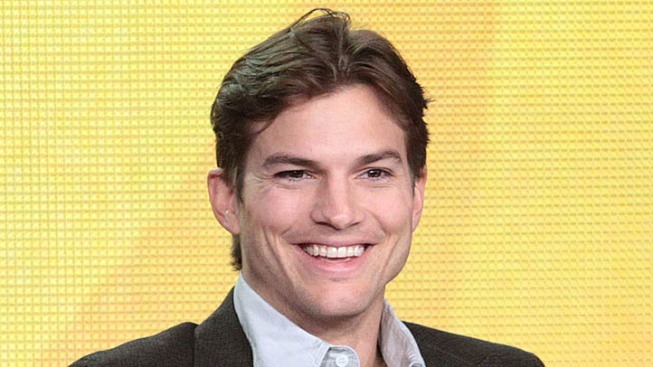 Ashton Kutcher is blasting off — and not just in his career. The actor has been confirmed to have shelled out $200,000 to book a suborbital flight to outer space on Virgin Galactic's rocket plane, alternately dubbed the SpaceShipTwo and the VSS Enterprise. Demi Moore's former other half didn't confirm himself that he'll be moonlighting as an astronaut, but Virgin's founder Richard Branson did. "I gave Ashton a quick call to congratulate and welcome him," Branson said in his blog. "It's great to have him on board." Kutcher is the 500th person to sign up for the space flight, which will take passengers 62 miles up — the internationally accepted boundary for outer space, according to MSNBC — to let them check out the otherworldly view and the weightlessness of space. It could be another year before the spaceship begins commercial service, though. Branson has plans first to take his family on an inaugural trip — for Christmas, he hopes.